On Thursday, the Obama administration put out the word that neither President Obama, Vice President Joseph Biden nor Secretary of State John Kerry would meet with Israeli Prime Minister Benjamin Netanyahu when he visits Washington in March. It is an unprecedented snub, provoked by Netanyahu’s far-from-unprecedented effort to thwart a key US policy in the Middle East: achievement of a nuclear deal with Iran. There are no guarantees that negotiations will succeed…. But new sanctions passed by this Congress, at this moment in time, will all but guarantee that diplomacy fails…. That is why I will veto any new sanctions bill that threatens to undo this progress. The American people expect us to only go to war as a last resort, and I intend to stay true to that wisdom. This was not the first time that Obama had pledged to veto new Iran sanctions. But it was the first time he addressed that threat to a Congress in which both chambers are controlled by Republicans, a clear majority of whom oppose negotiations with Iran and who, combined with Democrats aligned with the Israel lobby, come close to constituting the two-thirds supermajority necessary to overturn a presidential veto. Instead, Boehner said he had invited Netanyahu to address Congress about “the grave threats radical Islam and Iran pose to our security and way of life.” In other words, Boehner would use Netanyahu to make the case for new sanctions, making it that much harder for Democrats to withstand pressure from the lobby and their donors. Netanyahu would be speaking in his capacity as a foreign leader, yes, but also in his capacity as the ultimate leader of the pro-Israel lobby. If that couldn’t achieve the two-thirds necessary to override a veto, nothing could. Initially, the White House responded somewhat tentatively, noting that the administration had not been informed of Netanyahu’s visit in advance. Nor had Israeli embassy officials mentioned Netanyahu’s upcoming visit to their administration counterparts, limiting their discussions to their Republican friends on Capitol Hill. [Israeli ambassador Ron] Dermer approached Boehner, McConnell and other senior Republican Party figures at Netanyahu’s behest and suggested the idea of the speech. “Dermer and Boehner cooked up this whole invitation to Congress,” the official said. Other Israeli observers said that, in addition to giving an assist to the Republicans, Netanyahu also thinks standing up to Obama will play well back home, aiding his effort to win another term as prime minister when the country goes to the polls just two weeks after his Washington tour. Not surprisingly, the administration’s anger intensified as the hours and days passed, and, perhaps directed by the president himself (who else would have the authority? ), it began the effort to put Netanyahu in his place. The White House press secretary told reporters that Netanyahu had misbehaved, saying that “the typical protocol would suggest that the leader of a country would contact the leader of another country when he’s traveling there. That certainly is how President Obama’s trips are planned when we travel overseas.” The House Democratic leader, Nancy Pelosi, one of Israel’s strongest backers, said that the invitation to Netanyahu was “inappropriate” and that new congressional sanctions would “undermine” the US position. Clinton is, of course, the likely Democratic presidential nominee in 2016, meaning that she is sending a message that there is a good chance that Obama’s approach to Iran will continue after he leaves office. Netanyahu cannot just wait him out, unless he decides to just bank on the Republicans winning the White House, a bet that proved unsuccessful when Netanyahu all but formally endorsed Mitt Romney in 2012. Clinton’s statement is also significant because she has rarely broken with the lobby on anything. Her decision to do so, on the brink of a likely campaign for the presidency, indicates that she has seen the polls showing that the Democratic base is far less enamored of Israeli policies than it used to be, and certainly less than Republicans. Having lost the 2008 nomination largely because she was out of step with the party’s base on Middle East policy (the Iraq War), she seems to be taking care that it not happen again by being seen as marching in lockstep with Netanyahu. The ground may be shifting under Netanyahu’s feet, ironically because he himself has been digging at it. 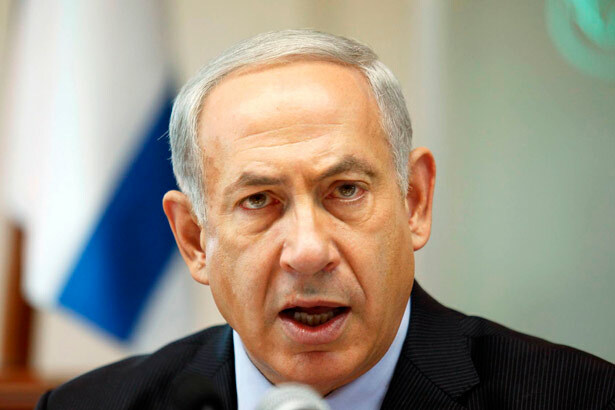 On Thursday night, Haaretz reported that the administration has finally had it with Netanyahu. It is unlikely that this response—the suggestion that there would be a price for Israeli actions—was what Netanyahu anticipated when he plotted with the Republicans to take down the American president in his own capital. And it is probably the last thing he needs as he prepares to face Israeli voters on March 17. But he has only himself to thank for it. In any case, a reappraisal of relations with the Israeli government is long overdue, for Israel’s sake as much as for ours. M.J. RosenbergTwitterDuring a long career in Washington, M.J. Rosenberg worked as a Senate and House aide, at the State Department, at the American Israel Public Affairs Committee (AIPAC), at Israel Policy Forum, and at Media Matters For America.